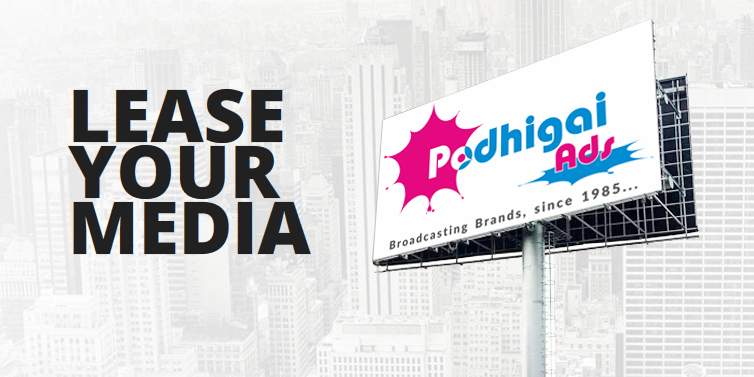 Welcome to Podhigai Ads JOIN OUR TEAM!! We are one of the reputed Advertisement Service agencies in Chennai for the past 18 years. We offer ‘Best-in-Class’ Advertisement Services to meet a wide variety of our Clients' requirement. We can take your fully developed ideas and transform them into reality, or create an informational and exciting campaign from scratch under your direction. Each and every detail of our customer requirements are studied analyzed and planned well to ensure flawless execution to reach the desired targets. Our loyalty and reputation among our customers made us to grow in this industry since 1989. Day by day our client base is getting expanded through our innovative campaigns & brand building solutions. We focus more on prospective locations and mediums to promote your product or services. Naukri - Dragging yourself to work? Our loyalty and reputation among our customers made us to grow in this industry since 1989.